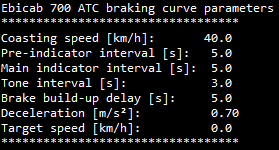 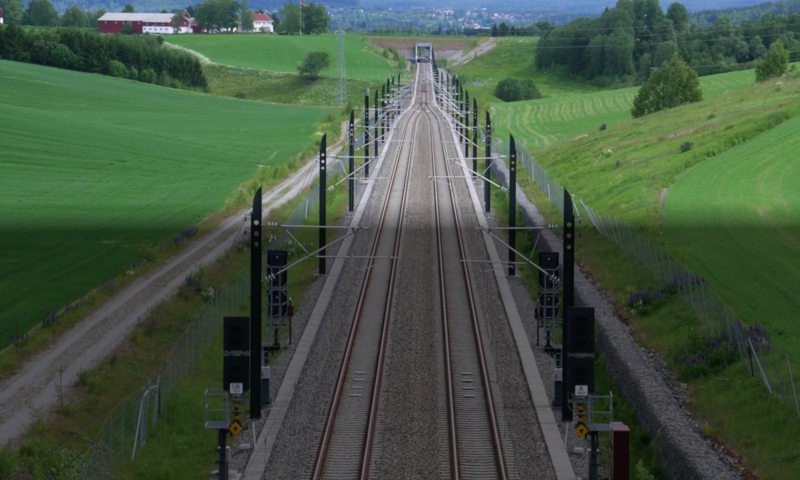 ATC braking curve calculations are made from track data and wayside speed boards. 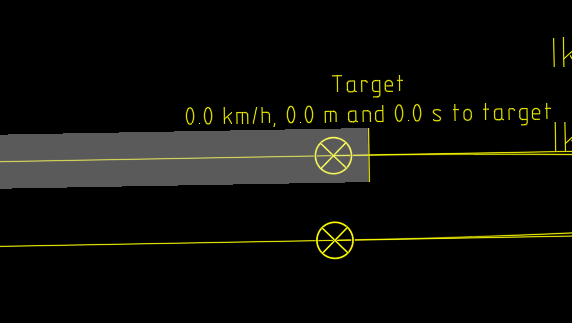 The calculation is performed by setting the target position and train brake parameters (see figure). 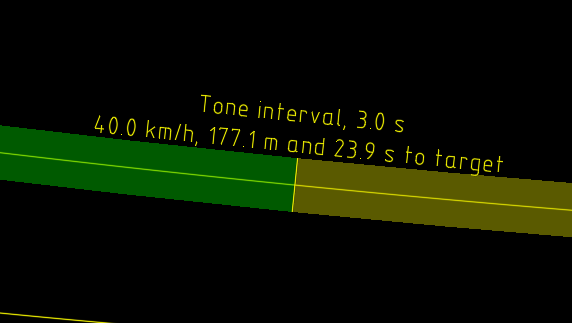 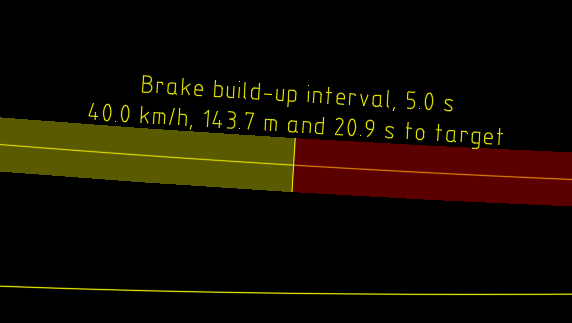 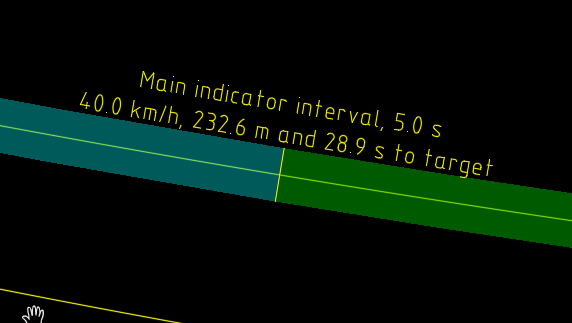 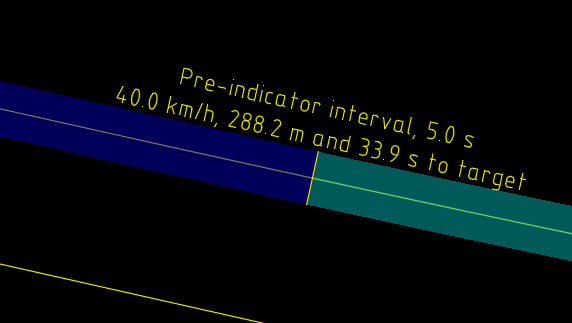 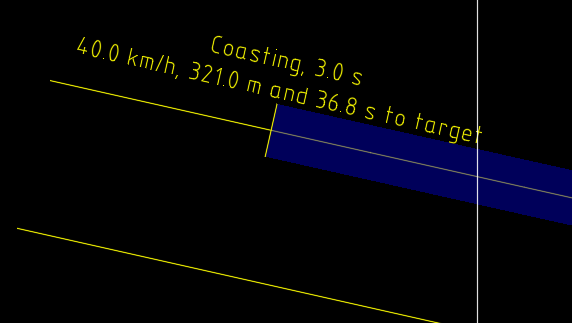 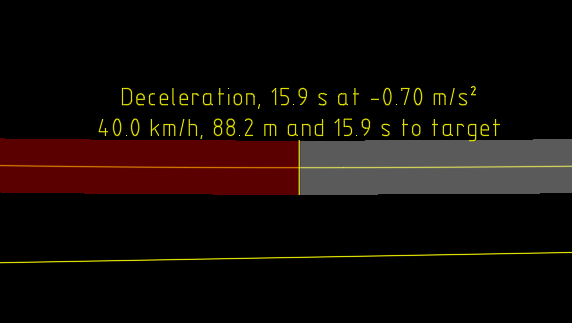 The speed profile of the braking train is indicated in the drawing.